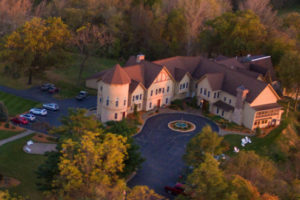 Choose a Galena, Illinois bed and breakfast as an alternative to hotel lodging accommodations. This area of Northern Illinois offers activities for indoor lovers as well as those who enjoy the thrill of the outdoors. The Mississippi and Galena Rivers offer boating, canoeing, kayaking, fishing, and sightseeing tours. Enjoy a bird’s eye view with a hot air balloon ride. The popularity of this sport has resulted in the Annual Great Galena Balloon Race in June and the Galena Halloween Balloon Festival in October. Come inside and enjoy shopping in specialty shops in Galena’s historic district, voted “Best Main Street” by Midwest Living Magazine readers. Galena is rich with history, as evidenced in local museums, The Old Blacksmith Shop, the Old Stockade on Cobblestone Street, the Elihu B. Washburne House State Historic Site, and the Ulysses S. Grant Home State Historic Site. For your dining pleasure, this area boasts a selection of bistros, world-class steak houses, cafés, and traditional diners offering Chicago-style pizza, seafood, and ethnic cuisine. After busy days exploring, you will want to retire to the comfort of your room at a member inn of the Illinois Bed and Breakfast Association.